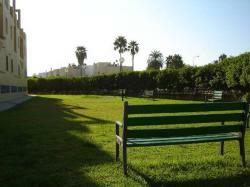 Residencia Universitaria Bahía is a student residence close to the Rio San Pedro campus in Puerto Real, Cadiz and the closest. Its construction and location were intended to be a second home to students, professors and workers. 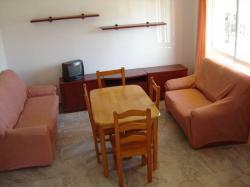 There are 90 rooms designed for the different spacial and economic needs of the guests. 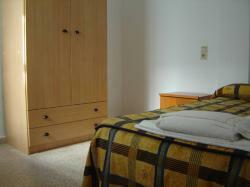 Each room has a bed, a closet, study desk, heating, private bathroom or optional shared bathroom and Internet. Guests also have laundry and security service. 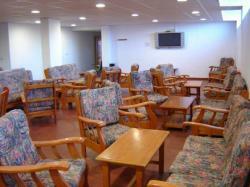 The residence is noted for its youthful environment and the friendliness of its staff. 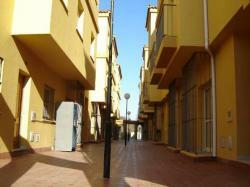 It´s 300 meters from the train station and 500 from the bus stop that provides transport to the surrounding towns. We are 10 km from the Puerto de Santa María, 14 from Cadiz and 24 from San Fernando. Once the booking is made the accommodation will charge 50€ in advance which are not refundable in case of cancellation or no-show. Reservation may be cancelled or amended up to 48 hours prior to the date of the client's arrival. Failure to cancel your booking prior to this time will result in a charge of one night's accommodation apart from the initial guarantee deposit. At the moment of making the reservation keep in mind that once the reservation is made the accommodation will charge a 50€ down payment on your credit card that is not refundable in case of cancellation. In order to amend a reservation, please contact the hotel directly. Contact details figure on the voucher. If by amending your reservation, the number of nights or rooms you had originally booked is reduced, the deposit will not be refunded and will not be discounted of the modified reservation fee.